Take a deep breath, go to your heart chakra, and ask the Angels what you need to hear, then listen….. Choose A, B, or C…. (or if you feel drawn to more than one, that’s ok. The Angel’s are guiding you….listen to them, to your Intuition!) 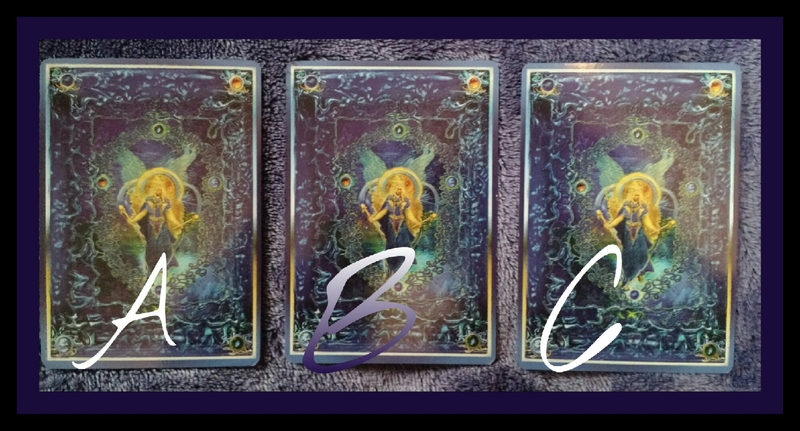 These are the Angel Tarot cards by Doreen Virtue. Please put your letter in the comments section! I love to hear feedback! Be sure to ‘ Like ‘ my Intuitive Realtor/Healer Facebook page. I will have the results in a variety of places, including this Blog, my Intuitive Realtor/Healer FB page, and my personal FB page. If you would like a more extensive Reading, personalized just for you, go to my Readings page! Much Love, Light, Joy and Many Blessings during this Holiday Season! Enjoy! If you enjoy these Readings…please consider making a Donation to help me keep them going! Thank you! If you would like a personal reading or other services from me…please check out these pages.